I’ve been digging through my old teaching diary from teacher’s college (1990). Interesting to note how much I still believe and how much has fallen into the dustbin of “doing it for awhile”. Part of writing a journal is this discovery of one’s teaching self not just at the moment but down the road. Invaluable to have a mirror to look back at oneself – to see where you zigged when maybe you could have zagged, ran when you could have walked. All for the aim of improving where one is going. 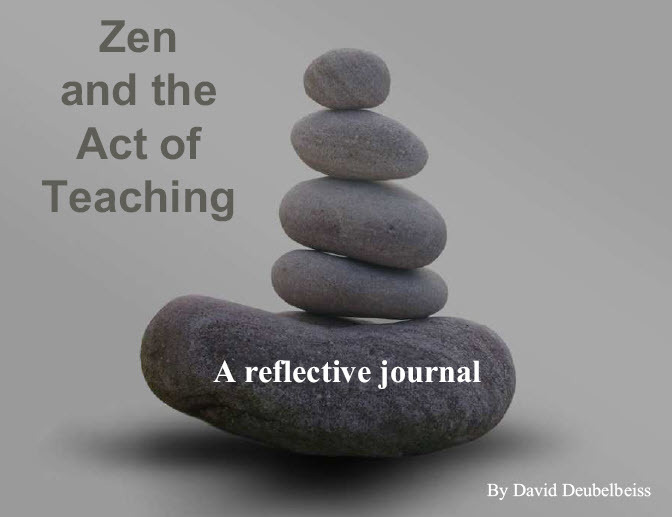 In this spirit, try out the presentation version of my reflective teaching journal – Zen and the Act of Teaching . Get the bound copy through Lulu. It is great for a lone teacher or as used already by several courses – as a supplement to a teacher training course or practicums in TESOL (wish I’d of had it around for my own graduate practicum students!). If you like the book – please leave a review on the purchase page. Thanks in advance. And lastly – if at IATEFL this week – please take in my friend Thomas Farrell’s plenary. 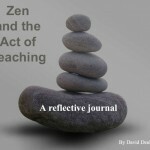 He’s written some very important books on ELT and reflective teaching (here’s a review of one), always full of great practical teaching examples from his own time spent in the trenches. Plus, you’ll seldom experience such a “human” and enjoyable presenter. If still curious about POD and self – publishing. Please visit my own ebook store and support EFL Classroom with a purchase. Thx. Next story Top 5 sites of all time for learning/teaching English.